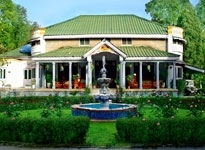 Kangra is an important tourist and pilgrimage spot and there are quite a few hotels in Kangra Himachal Pradesh. The Kangra Valley lies at the confluence of the Bener and Majhi streams, over looking the Ban Ganga torrent and offers a mind blowing view of the Dhauladhar Range overlooking the verdant valleys and green agricultural fields. 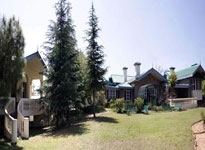 The Kangra town has some of the most famous and significant temples in the Himachal. Outside the town is the Brajeshwari Devi Temple. The temple was subjected to successive plunder at the hands of invaders from the North and Mohammed of Ghazni is known to have departed with a fabulous booty comprising of in gold, silver and jewels in 1009. In 1905 the temple was destroyed in an earthquake and was rebuilt in 1920. 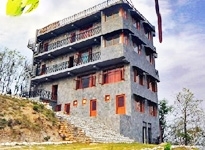 The Kangra Fort is yet another major tourist attraction in Kangra town. The fort is of tremendous archaeological and historical importance. The fort was subjected to successive invasions and plunder at the hands of Afghan and Muslim rulers. But the most elaborate invasion was carried out by Mahmud of Ghazni in 1009 AD, who is said to have taken back a lump sum of booty which had to be carried on a camel caravan a mile long. Other invaders who plundered the fort were Feroz Shah Tughlaq, Sher Shah Suri, Jahangir, and so on. The Kangra Fort was considered to be the seat of power in the mountains and every ruler who ruled Delhi wanted to capture it in order to establish his rule over the Himalayan states. The Kangra Fort was significantly damaged in the 1905 earthquake and was later restored. 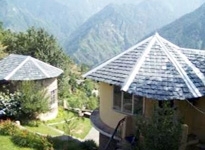 The Kangra Valley is a popular tourist destination visited by tourists usually on their way to Dalhousie from Dharamshala or Nurpur. 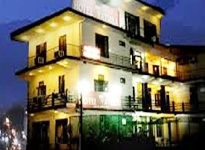 The hotels in Kangra India offer comfortable accommodation and state of the art facilities complemented deftly by the view of the verdant hills and green valleys.